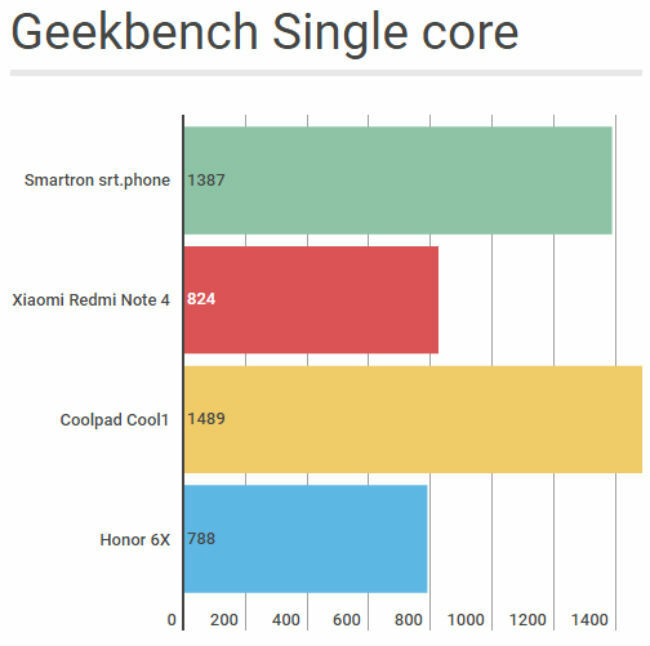 The Smartron srt.phone offers a bright display, good build and impressive performance. However, a poor camera, low battery life and heating issues seem to be recurring problems for the manufacturer. We faced these issues in the t.phone too, and Smartron needs to do better to be competitive in the current market. With only two smartphones under its belt. Smartron is definitely the new kid on the block. The company's first two devices, the Smartron t.phone and the t.book were on the right path, but with issues that couldn't be overlooked. With its third device, the Smartron srt.phone, the company is trying to find its footing. Starting at Rs. 12,999 the device finds itself in a very competitive segment with many recognised manufacturers that offer some pretty powerful devices. However, Smartron has an ace it has up its sleeve in the form of Sachin Ramesh Tendulkar (SRT, geddit?). He's a strateigic shareholder and brand ambassador for Smartron. Smartron is hoping his endorsement for their latest product should have people turn about and take notice. 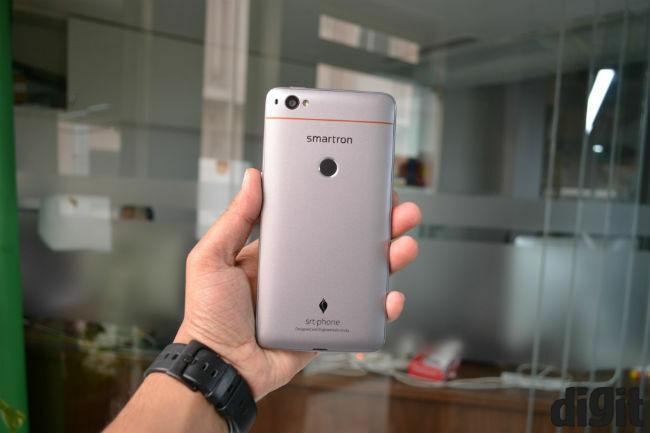 So, here's our review of the Smartron srt.phone. While the original t.phone was quite an interesting looking device with its combination of orange and ash grey, Smartron has opted to go with a more subtle look with the t.phone. 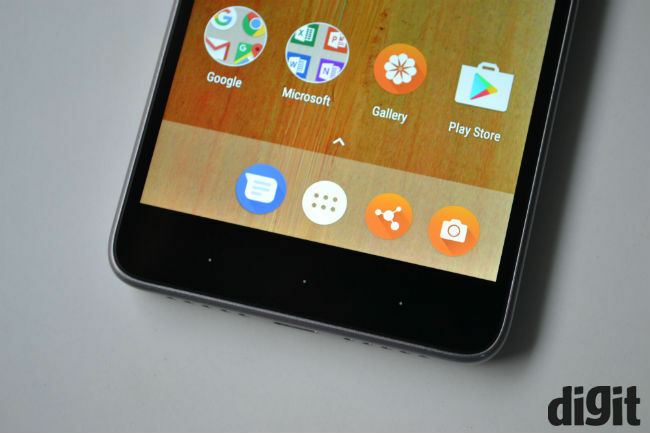 The device we have is ash grey with a single orange line running across the back. 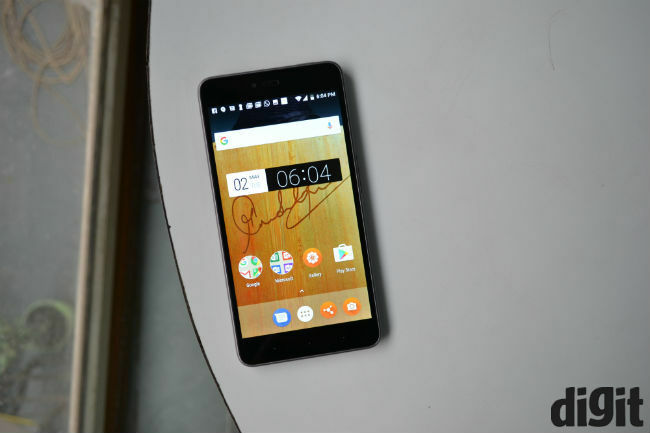 It sports a metal frame with slightly curved edges, and a removable plastic rear panel. It doesn’t look or feel as premium as some of its competitors, but it certainly feels good in the hand and has the right amount of heft. While the back is removable, the battery is not. However, you do get the option to place a different back cover. Since Sachin Tendulkar is the brand ambassador, we got two extra covers with his graphics and signature. The quality of the graphics is pretty good and I can see why a fan of cricket would like such a cover. You remove the back cover to access the two micro SIM card slots. 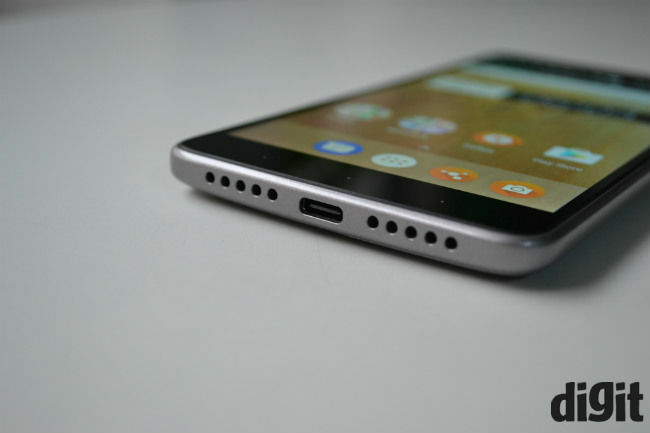 At the bottom is the USB Type-C slot with two speaker grilles on either side. However, only one of them has a speaker behind it. Also, the phone doesn't have a notification LED, which some may not like. The volume rocker is placed on the right edge of the device, while the power button is located on top. This setup creates a bit of a problem — when holding the device with your right hand, the power button is too awkwardly placed to reach with your right index finger or your thumb. In your left hand, the button easy to reach with the index finger, but has other problems — when pressing the button, you naturally squeeze the phone a little bit in order to stop it from sliding out from your hands. As a result, I usually ended up pressing the volume buttons at the same time. The Smartron srt.phone sports a 5.5-inch Full HD display with a resolution of 1920x1080 pixels. The display is pretty bright with luminance of about 660 lux. As a result, sunlight visibility is quite good. Viewing angles are nice with warm colours. Touch response is decent and you get Corning’s Gorilla Glass 3 for protection. While it may not have the latest version of Gorilla Glass, it shouldn’t make too much of a difference in practical terms. The Smartron srt.phone comes with Android Nougat v7.1.1, and is currently one of the few devices in this category to offer Nougat right out-of-the-box. The device comes with the company’s tronx launcher, which (besides changing a few icons) adds a couple of the company’s own services. These include the tstore, tclould, tcare and forum. The tstore is where you can buy other products and accessories from the company, while tcare lets you contact customer care. You can email the company, call them up or have a live chat with a customer service representative. Next, tclould is the company’s cloud service, which offered unlimited storage. This is pretty handy considering you don't get an option to expand storage with a microSD card. However, you get 64GB of in-built storage (on the Rs. 13,999 variant), which is pretty good. Besides these, you get Microsoft’s apps, like Word and Excel, already installed. 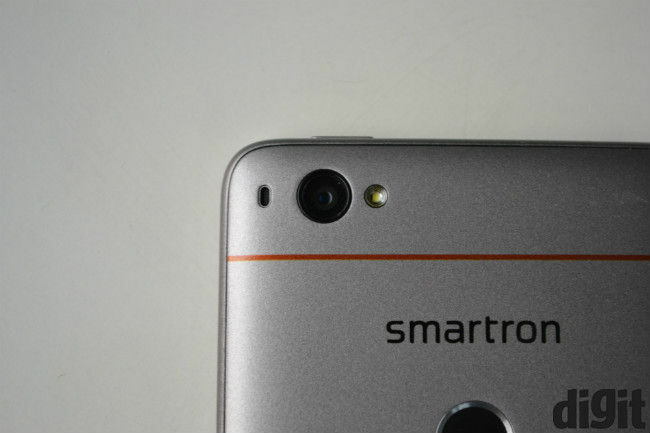 The Smartron srt.phone is powered by Qualcomm’s Snapdragon 652 SoC with 4GB of RAM. 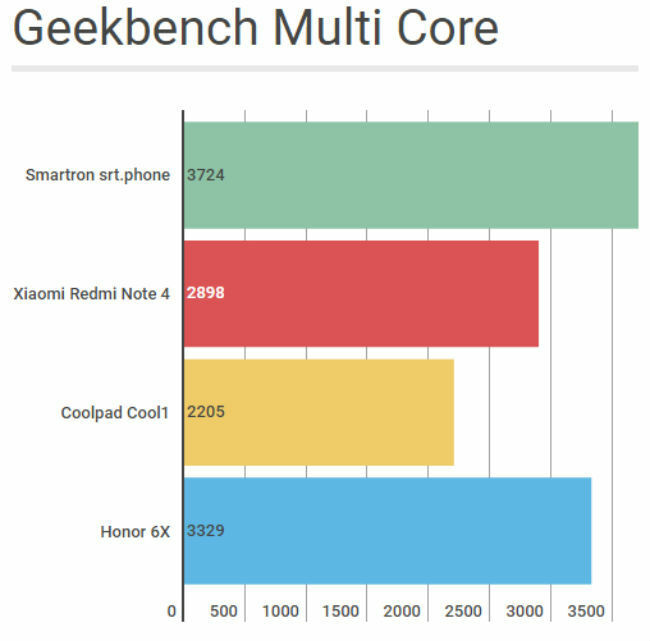 While it may not offer the efficiency of the Snapdragon 625 found in the Xiaomi Redmi Note 4 or the Lenovo P2, it makes up for it in raw power. The phone is pretty snappy with little lag between apps. Gaming was quite an enjoyable experience for me. In Asphalt 8, there was little lag between menus and the game ran at about 29fps on average (Gameloft caps it to 30fps). Other games like Injustice: Gods Among Us go up to 60fps on average. However, while the device is pretty powerful, there is a heating issue to be discussed. After about half an hour of gaming in an air conditioned room, the device got up to 42 degrees. (Outdoors, with temperatures at 35 degrees, the phone reached 50 degrees). This is definitely a cause for concern, since excessive heating may affect the phone’s overall longevity. Heating will also affect performance in the long run, since the internal hardware's life cycle should go down with such heat. The smartphone sports a 13MP rear camera with an LED flash and a f/2.0 aperture lens. The camera is not reliable and performs poorly at times. It fails to balance light efficiently and either overexposes in bright light or fails to light up frames in low light. Further, images are persistently soft, which leads to lack of details and sharpness. Colours appear undersaturated, even bold colours. At the front is a 5MP sensor and it doesn’t fare much better than than the rear camera. Focussing seems off and the subject lacks sharpness along the edges with lack of details. The Smartron srt.phone is not one for camera enthusiasts. The Smartron srt.phone sports a 3000mAh battery. However, its bright display and the powerful processor don’t help too much in the battery department. After charging to 100 percent, the phone dropped to about 65% in about 2 hours with Adaptive Brightness turned on. This included about half an hour of gaming, with a couple of calls, social media and instant messaging put together. In our synthetic benchmark tests, the phone ran for about 5 hours and 45 minutes. It is advisable to carry a charger or a powerbank when using this phone. In general, you're expecting at least two charges per day on regular usage, while heavier users will need one more charge. A larger battery would perhaps have made this a better deal. 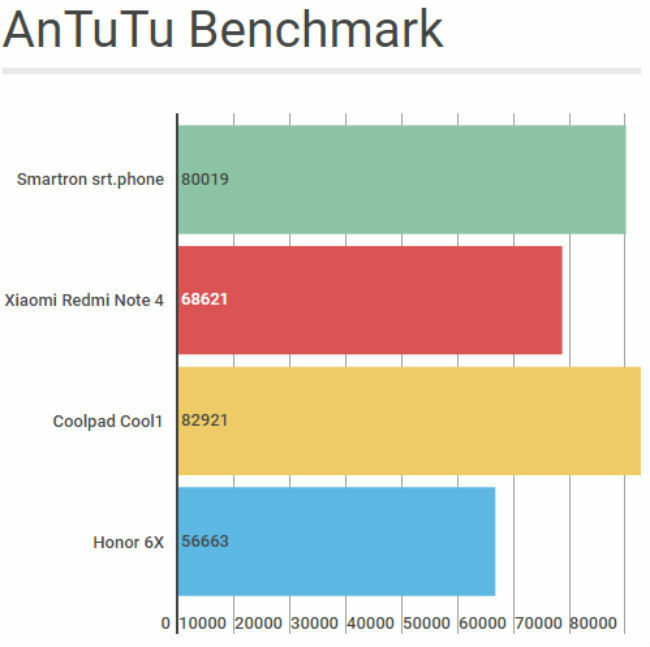 The Smartron srt.phone offers a bright display, good build and impressive performance. Add lots of storage to this and unlimited cloud storage and you have the makings of a good device. However, the phone's poor camera, heating issues and battery life make it hard to recommend over competitors like the Xiaomi Redmi Note 4. Phones like the Moto G5 and Xiaomi Redmi Note 4 offer better value overall, while the Honor 6X and Coolpad Cool 1 have much better cameras. 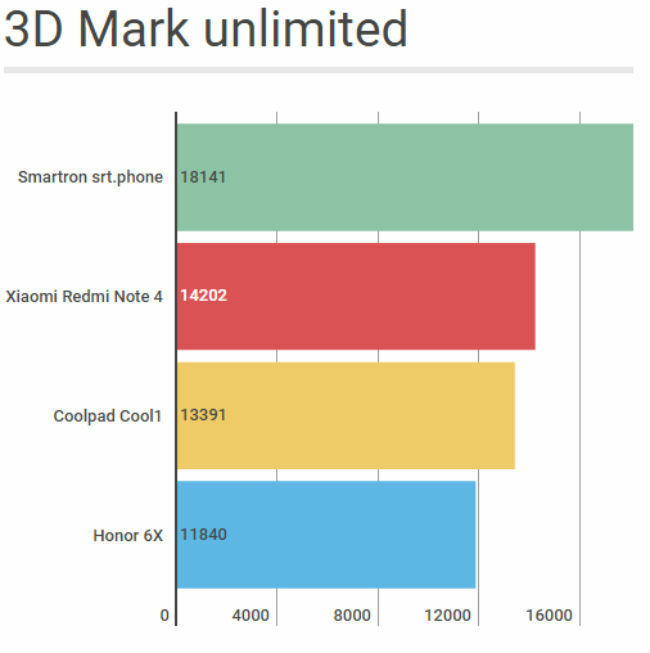 Overall, the phone is a step in the right direction for Smartron, but heating issues, a poor camera and low battery life were issues we faced with the Smartron t.phone too, which means the company needs to clean up its act if it is to be competitive.